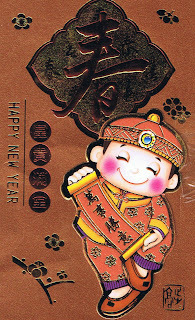 Chinese New Year is the most important festival in the Chinese year. Each year it is celebrated on a different date. On the first day of the New Year, children are given new clothes and coins wrapped in red paper. Red is the colour for happiness and good luck. There are also colourful street parades, markets, exhibitions and firework displays.